Contrary to their name, wisdom teeth are not wise at all. For most people, as soon as there are signs of wisdom teeth growing, they experience pain and uneasiness in their oral cavity. Many people opt to remove wisdom tooth as soon as they are aware of their presence. Almost always, the timing of the removal is the most crucial factor, because if these teeth are left to grow, they can cause improper teeth alignment. If you want to remove wisdom tooth it’s better to get it removed early on, before periodontal diseases have started. 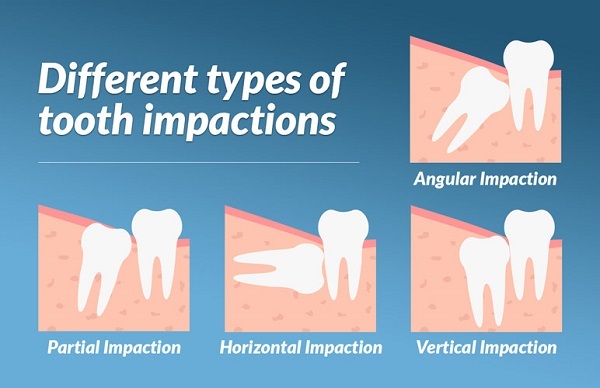 However, it’s important to note that regardless of age, removing impacted third molars can still have a negative impact on the periodontal tissues of your nearby second molars. Your age and your level of oral hygiene will serve as predictors of the possible outcomes. Anyone over the age of 16 has the chance to develop wisdom teeth at some point in their life and the majority of people develop them eventually. As a means of prevention, regular visits to your dentists are recommended so you are aware of their phase of growing, so your dentist can diagnose your situation accordingly. Wisdom teeth are divided into three categories – fully erupted, un-erupted and impacted. Fully erupted wisdom teeth are a good sign for your oral health and can act as functioning teeth. However, cleaning them at home can become troublesome as they can be hard to reach due to being positioned so far back. Un-erupted wisdom teeth haven’t made contact with the mouth, but can be monitored and left alone. They can sometimes cause unexpected irritation, hence should be monitored closely. Impacted wisdom teeth are the annoying ones. They have tried to erupt into their place, but due to insufficient space have stuck. They can damage the neighboring teeth and cause infections. More often than not, they have to be removed. The necessity to remove wisdom teeth can be caused by multiple factors. They can grow at basically any angle in the jaw, even horizontally. Other times, they grow partially or remain completely hidden and normally turn out impacted or trapped, and have to be removed. The most common signs that a wisdom tooth has to be removed are: pain, repeated infection of the soft tissue behind the last tooth, tumors, cysts, damage to adjacent teeth, extensive tooth decay and gum disease. Take care of your health.